Do you normally just throw wedding invitations out as you laugh and call the bride and groom suckers? Well, you wouldn’t throw these wedding invitations away. After all, they come with starships. Who’s the sucker now? 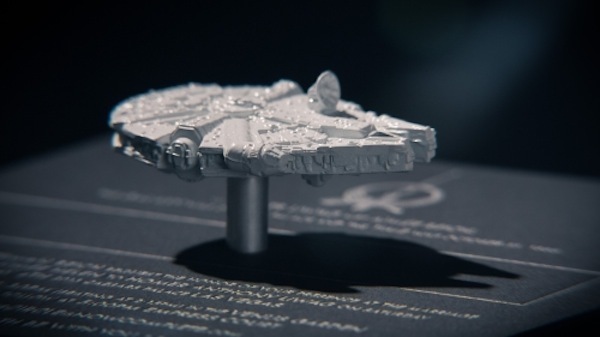 There’s probably no better day for Star Wars fans to get married than May the 4th. It was the perfect day for Homer Liwag. You probably remember the Indiana Jones engagement ring and the Star Wars wedding band he created. So of course, for his own wedding, he created some amazing invitations. 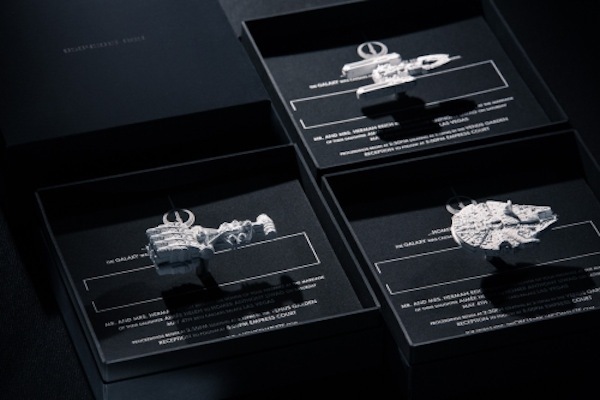 Each invitation comes in a little black box that holds a miniature Star Wars ship attached to an invitation that initially read only “Take Off.” Once the recipient took off the lid, the full invitation and a tiny spaceship was revealed. Now, that is classy.